Dan is the founder of the original NCO Website and its successors Squad-leader.com and Firstsergeant.com, which were grass-roots collaboration centers oriented towards Soldiers. He was awarded the first-ever Army Knowledge Management Pioneer Award in August 2003 by the Army CIO/G-6. In October 2005, he donated his successful sites to the Army, which became the BCKS NCO Net, winner of an Army 2007 Knowledge Management Award. 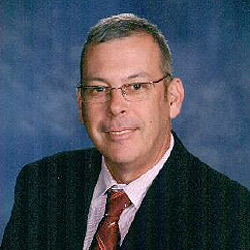 Following his retirement from the Army after a 26-year career, Dan joined Computer Sciences Corporation (CSC) as a Knowledge Management professional. In 2010 he formed Topsarge Business Solutions where he now serves as Chief Consultant and Knowledge Officer. He was awarded a Bachelors of Science degree in Business Administration from Touro University, California, and earned certification in Knowledge Management (CKMP) by the KM Professional Society. Dan currently provides consultation services in collaboration techniques, knowledge management, and is a social media advocate to the Central Texas community in both the public and private sectors. CSM Dan Elder entered the Army from his California hometown in Dec 1981 and went on to serve in a variety of enlisted leadership positions, from the squad to the most senior enlisted rank, culminating with 11 years’ experience as a Command Sergeant Major. His assignments included duty as an instructor, drill sergeant, first sergeant, and on the staff of the Sergeants Major Academy, with his final assignment as the Senior Enlisted Advisor of the U.S. Army Materiel Command. He deployed to both OPERATION Joint Endeavor in Bosnia-Herzegovina and OPERATION Iraqi Freedom. He served on the Sergeant Major of the Army Board of Directors, and he was selected to serve as the CSM for then incoming Chief of Staff Gen. George Casey’s transition team where he interviewed senior enlisted leaders Army-wide. He was general editor and author for the Center of Military History’s book Sergeants Major of the Army, and was an Advisory Team member for the Army Research Institute. He authored the book Educating Noncommissioned Officers and has published numerous articles about U.S. Army NCOs. He has consulted with publishers and authors, including Guardians of the Republic, The Three Meter Zone, and The Shake and Bake Sergeant. Accolades: All levels of NCO education programs; Command Sergeants Major Course; Garrison CSM Course; Battle Staff NCO Course; CSM Force Management Course; National Defense University’s Keystone Command Senior Enlisted Leader Course.